Galleon Studios is a studio hire and video production company based in the Northwest just north of Manchester. Opening its doors in 2007 we’ve welcomed 100’s of projects from hundreds of businesses, agencies and other video production companies. You’ve looked around at other studios and you’ve opted for us; so now you’ve booked our studios what do you get with the hire studios? The beating heart of our studio facilities, the infinity cove allows you to film your subject and with the lack of horizon line your subject be it a person, car, set is floating in space. Generally our cove is chroma green. 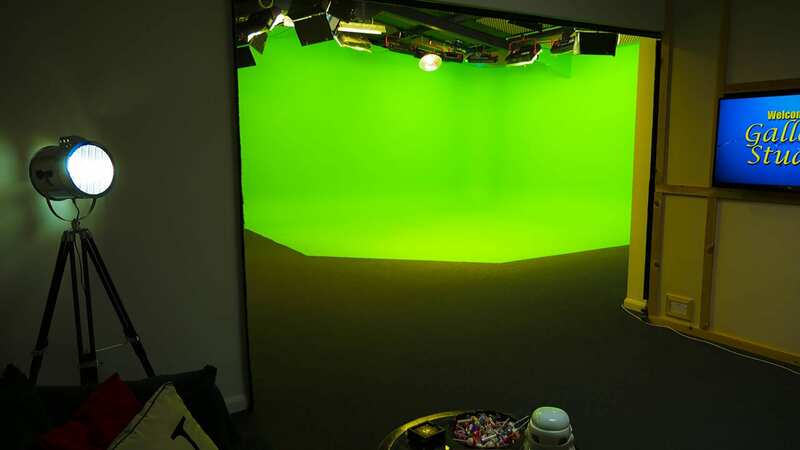 As the need for an even green colour is essential in green screen we paint the cove before every hire at no cost to the client. If you require another colour the cove can be painted for a fee that covers the specialist paint and the time it takes to paint the studio from one colour to another. We use 24 individual lights to light the cove. Surrounding the cove on the lighting grid are flicker-free florescent Photonbeard lights. This gives a nice even key to the background and the subject you’re lighting. Any extra lighting is included in the hire cost so if you need additional lights they are to hand. These additional lamps are further soft daylight balanced Photonbeards, Arri and Dedo hard lights as well bicolour LED panels. For a full list download our brochure. If you need more specialist lighting then we encourage you to hire our lighting technician. For £200+vat per day one of our friendly, experienced staff will light your scene all day ensuring the lighting matches your intended background. The soundproof studio is regularly used by the major broadcasters for interviews, pieces-to-camera and voiceovers and stands ready and pre-lit for your project. 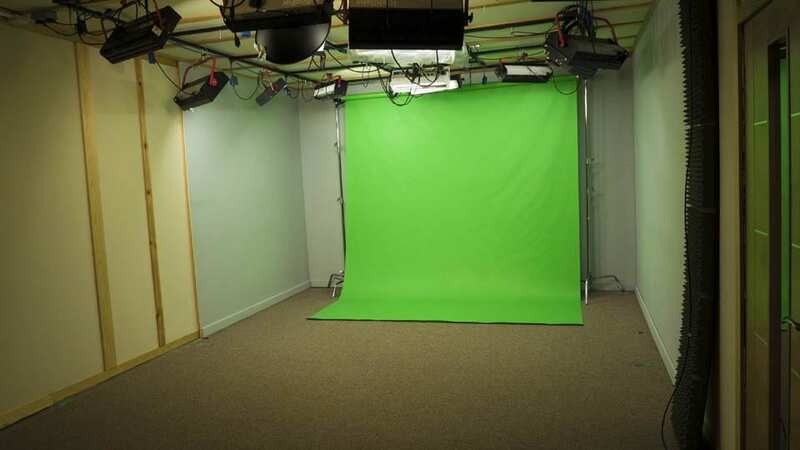 As with the infinity cove studio the soundproof studio has all lighting included. Again this is soft florescent Photonbeard lighting designed to light your subject and the background. But what background have you got? Well, the studio wall is plain neutral grey walls. The studio is really a (nearly) blank canvas that can (and has) doubled for an office set, a hospital ward and a living room. 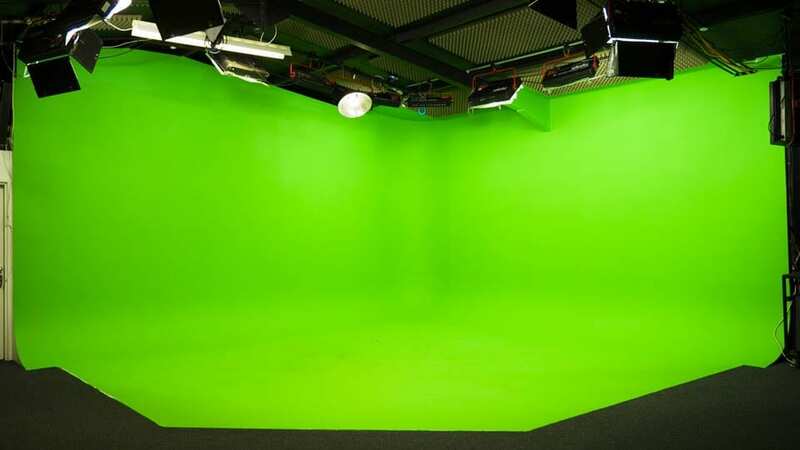 This soundproof set is ideal for you to film uninterrupted but what if you want a green screen? 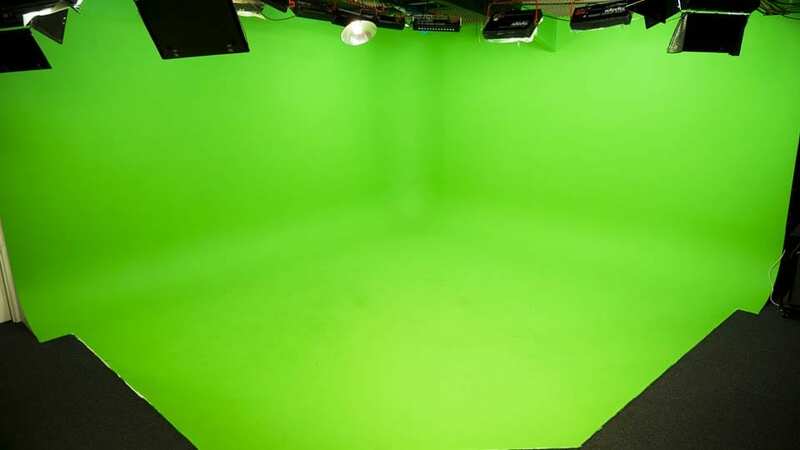 We are after all a specialist green screen studio dontachaknow? If that’s the case we can offer either a green screen colorama, a green screen curtain, or if you need your subject to be stood on the floor we have a hardy rollout vinyl background. This emulates an infinity curve in the space of the soundproof studio. All of the above is included as part of the price of the studio hire. This goes for any other background that we have and we have many different coloramas. Again the same lighting is included too as part of the cost. So you can choose from using the Photonbeards or paint a picture with the hard light of the Arri and Dedos. Take a gander at our brochure to see our full range of lights. If you’re not sure where to start we have available a lighting gaffer who can wield these lights like a pro and help you get all you need from our fantastic second studio. As well as lighting we offer the grip with every hire. This includes lighting stands, super clamps, magic arms, spigots, knuckles, flags, umbrella stands, clips and so much more. We also offer gels and diffusers of all colours and light refracting properties and that too is all included. You just need to ask! 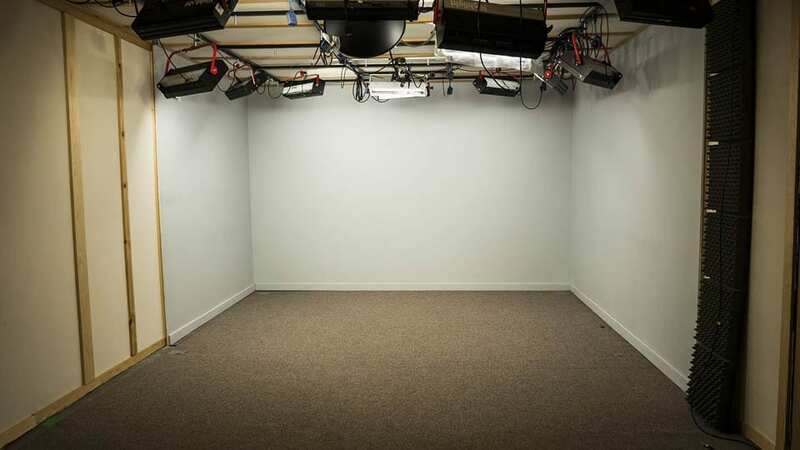 Our studio has ample and free parking with room for up to 30 cars. We hate stairs. They’re just an obstacle between you and your location; so we chose our filming space to offer easy access to the main studio through 8ft double doors. Alongside our free parking we have drive-in access that means you can film vehicles in the studio or just use it for an easy unload. 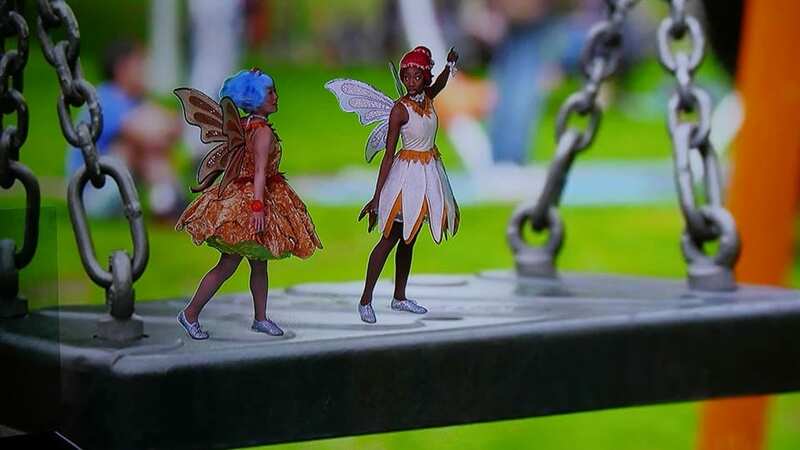 At Galleon Studios we like to give the companies that join us ample time to craft their images. As such we offer a 10-hour day as standard. We’re also not precious about your start time; generally, we open from 8am til 6pm. If you can’t get into the studio for your video production til 10am that’s fine we can open between 10am and 8pm. Let us know your start time and we’ll be ready for you. Kettle TICK! Oven TICK! Toaster TICK! Microwave TICK! Fridge TICK! Tassimo BIG TICK! As well as a place to prepare meals we also have a list of nearby and convenient catering options. We’re also pleased to offer free teas (including specialty teas), coffees, bottled water, soft drinks, biscuits and sweets to help your video shoot stay on track by feeding the clients, talent and crew that make up your production. 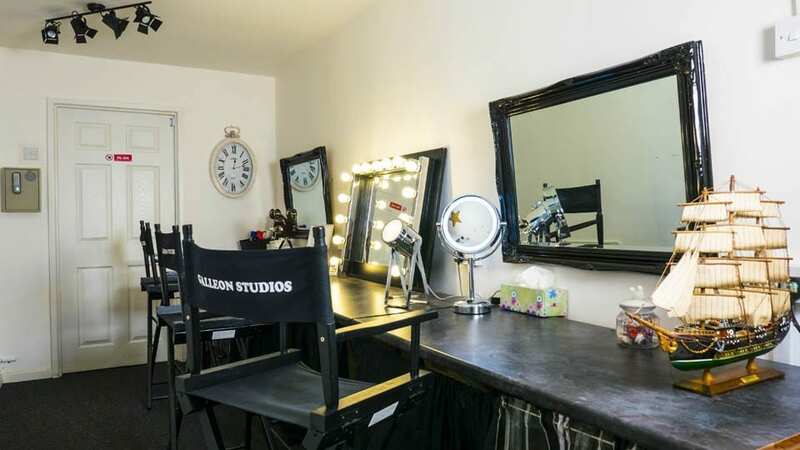 Treat your talent like the stars they are with our luxurious make-up room. With 3 make-up stations your stars will be ready when you are. 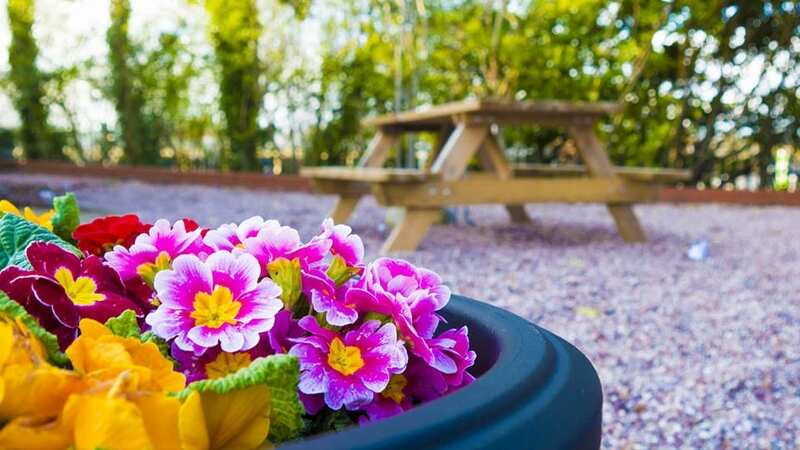 Great for publicity stills or escaping the hubbub of a busy set our garden area with seating is an oasis of calm and another option for your shooting location. With iron, ironing board and steamer (all included foc) there’s a close rail and hangers to store and look after your wardrobe. The dressing room also features a large mirror for thos finishing touches. Conveniently located just off the main infinity cove studio is the comfortable client lounge. A sofa and viewing monitor await you in this stylish space, perfect for clients to watch their project unfold. The studio is often used for exercise videos and as such having a shower facility has come in really handy after a tough workout. What is this 2010? Of course we have free wi-fi everywhere, and it’s hi-speed. Our wi-fi code also serves as a puzzle… It’s a number from a movie and if you guess the movie you get a discount on the hire. Hire the studio, see the code for yourself and have a guess. We hear horror stories from crews and clients left to fend for themselves in studios. We feel when you hire Galleon Studios you should get excellent service to match our facilities so we try to ensure you have a studio manager on hand. They’ll count you in, show you the studio and answer any questions you have. If you need additional help on the day you can get full time tech support for just £200+vat. Well it’s not free. We have to pay for it. But it’s included in our overall hire fee so, unlike other studios (cough most of em! ), you won’t get any nasty surprises at the end of your hire when you’re handed a bill for the lecky! Included is a fully qualified first aider on-site. Many film insurance policies mean you need a qualified first aider to hand should the worst happen. All Galleon staff are first aid trained and will always be to hand if needed. Some shoots just need music so plug your phone in or get Alexa to serenade your shoot with a musical genre to suit you. We’re fond of Herb Alpert & the Tijuana Brass ourselves. Alongside Amazon Alexa we have the film catalogue they offer and Netflix too. 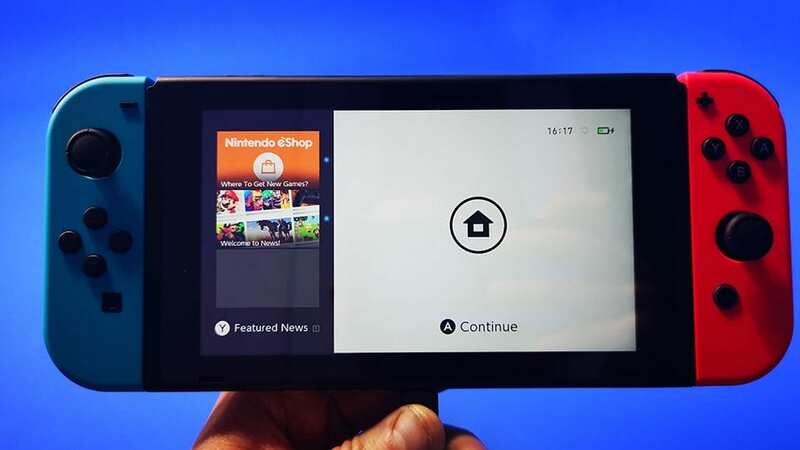 But don’t get hooked on the binge watching – there’s a video production to make! Enjoy lunch by throwing down the gauntlet and challenging one and all to game of Mariokart. Remeber though; it’s only a game…. All this is included in our hire fee. So what else can you get? Our ethos at Galleon Studios is that clients should just be able to arrive with the clothes on their back and at the end of the day leave with an impressive video production they’ll be proud of. So at Galleon, we offer kit, crew and even post-production services. It’s not essential you use these services but they are there if you need them. 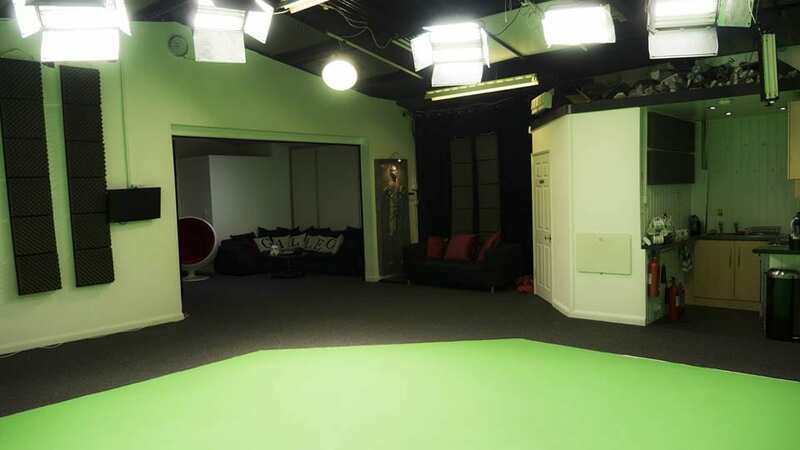 The breadth of kit and experience housed with our studios is truly breathtaking so if you do need to make your production stand out then take a gander at our studio hire brochure that can be downloaded below. 4k cameras, amazing microphones, motion control rigs, green screen turntables and treadmills, live keyers, autocue, interrotrons and so much more are all available and to hand here in our North Manchester studios. We also have crew capable of using them so never be worried about pushing the envelope of your production and using a piece of kit that wasn’t initially on your mind.